How do you recognize Jesus' followers? How do you find Christians? Jesus said they love each other just as he loved the disciples. In the immediate context this means he is willing to give sacrificially and extravagantly by dying for them at the cross, and he is also willing to love selflessly and practically by washing their feet. His ministry reveals he will do almost anything in between extravagant and practical. 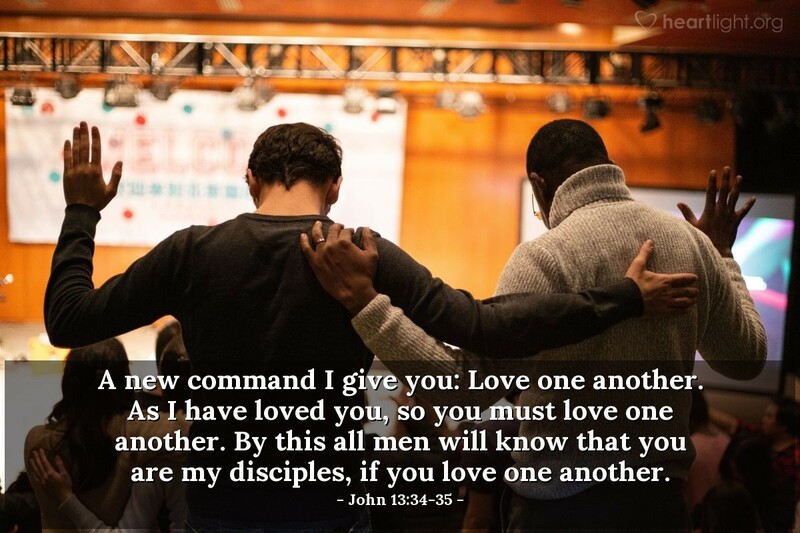 Imagine if we all read the Gospels and committed to love each other in the same way Jesus showed his love to his disciples! Father of Compassion and God of all grace, I thank you for teaching me to love through the example of Jesus. May my words and actions reflect his love toward your people today, tomorrow, and until you bring us all home to you. In the name of Christ, my Great Example, I pray. Amen.